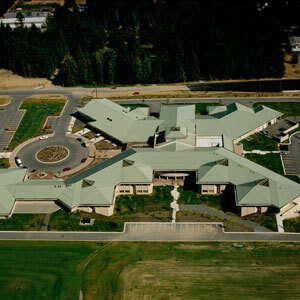 One of 13 United World College partners, Pearson College of the Pacific committed to sustainability practices as early as its construction in 1973. 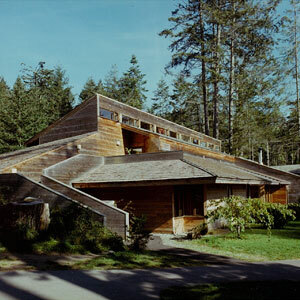 A cluster of cedar structures nestled into Pedder Bay on southern Vancouver Island Pearson College continues to welcome students from around the world, each a representative of their own cultures promoting through education and exchange, a greater understanding between the peoples of the world. As Construction Manager we built Poet’s Cove Resort which includes the hotel, 15 luxury cottages, 9 villas, two restaurants and a spa. 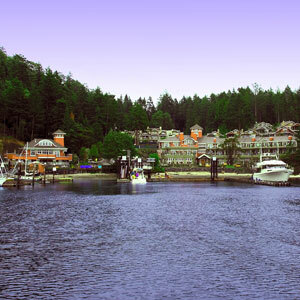 Completed in 2004, the resort also boasts a marine centre and pool. 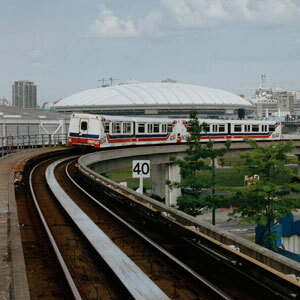 Farmer constructed two sections of this project substructure, one at Metro-town Burnaby and one adjacent to BC Place Stadium. A new build and completed under budget, Dover Bay Secondary serves 1000 students in its community. 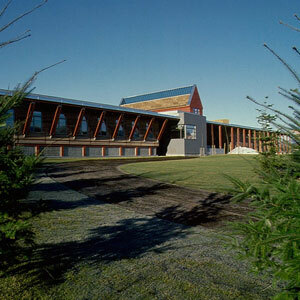 Canada’s Wood Products Research Institute The Western laboratory, located in Vancouver on the University of British Columbia endowment lands, is built entirely of wood species indigenous to Western Canada. The architectural design of the cathedral ceiling in the main reception area and branching hallways is patterned after a forest environment. This building was constructed in 1990. Farmer earned The Journal of Commerce Award of Excellence for innovative construction techniques. Our own forces detailed, fabricated and installed the massive parallam trusses seen throughout the building structure. Tailings Pond, Campbell River BC. 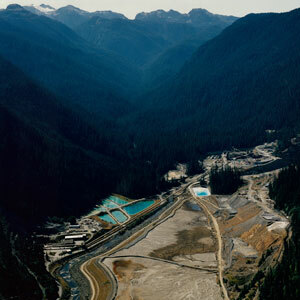 Ore mined at a depth of 1500 feet is conveyed to the surface and processed to extract minerals. Resultant rock waste slurry, called tailings is piped to a containment area referred to as a pond and stored on dry land. We constructed 45 acres of tailings ponds for Westmin Resources that required the diversion and relocation of mountain creeks and valley rivers, installing extensive underground drainage piping in order to restrict the leeching of the waste slurry into the mine’s surrounding ecosystems. Located at 1450 Government Street, the century old Albion Ironworks timber frame warehouse and office building was converted into loft condominiums and ground floor commercial space for Mountain Equipment Co-op. Seismic upgrades included large concrete transfer beams installed in the basement to facilitate the removal of central timber columns to allow a drive isle for underground parking. Featured in the property’s courtyard design are cast iron panels from Victoria’s historic Driard Hotel (1892) and art deco terra cotta frieze, a 1930’s artifact recovered by the City of Victoria when Kresge’s Department store was demolished in 1989. 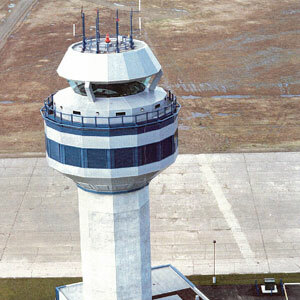 Completed in 1998, the air traffic control tower at CFB Comox is a state of the art $6M facility that manages both military and civilian flights as a classified NAV Canada port of entry on the west coast. Owned by the Provincial Government, the Selkirk Trestle is one of five trestle restorations and conversions Farmer has constructed along the Galloping Goose Trail on Southern Vancouver Island. Managed by the Capital Regional District, this linear pedestrian trail is a restored rail right of way which runs from Sooke to Sidney. 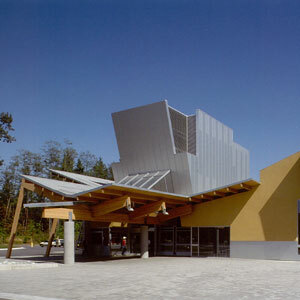 The Newton Library, designed by Patkau Architects, opened in Surrey in 1992. Architectural historian Harold Kalman wrote, "The library is a boldly angular structure that distinguishes itself from the dull sameness of the instant Surrey townscape. The inverted gable roof is supported by assertive angled glued-laminated wood columns and beams. Two of these frames form a portal at the entrance. The canted aluminum box on the roof contains the air-conditioning equipment. The interior features: a large, open, and naturally illuminated reading room; public areas where the roof rises high, and intimate areas where it dips low." 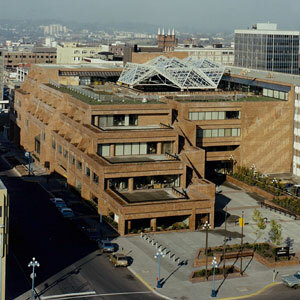 Patkau Architects won the 1994 Governor General Award for Architecture for their design of the Newton Library. 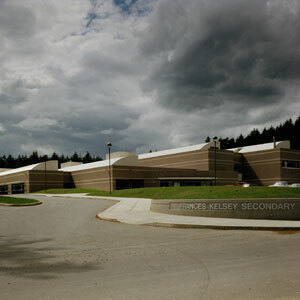 A new build completed in 1994 within budget, this senior secondary serves 1500 students in the South Cowichan community just north of Victoria. 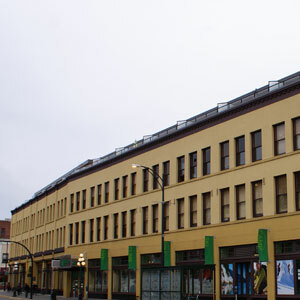 Home to the Victoria Public Library’s main branch and multiple government offices, this five story building is constructed over three levels of underground parking. 25,000 cubic yards of concrete was formed and poured in ten months to complete this project. 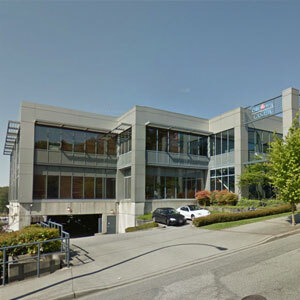 As Construction Manager selected by British Columbia Building Corporation we managed the refurbishment of the building that is the Ministry of Health. 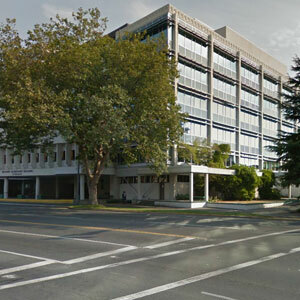 To complete the project the existing building was stripped to basic structure and a new high performance curtain wall glazing system containing portions of photovoltaic panels was installed, as well as seismic dampers and a new electrical, data and mechanical systems. 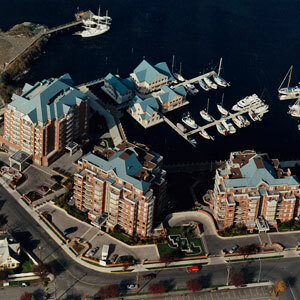 Completed in 1991, this Coast Hotel and two adjacent condominium towers round out Laurel Point in James Bay. 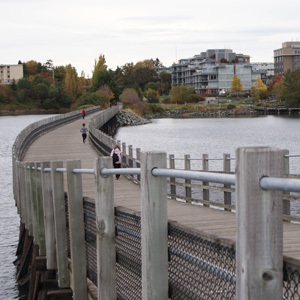 The marina has grown with and complements this waterfront community in Victoria harbour. 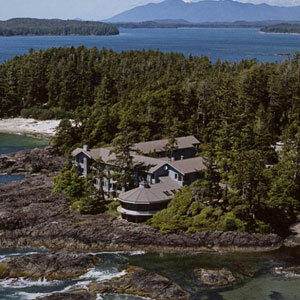 Retained as the Construction Manager, Farmer built the “5 Star” complementary Wickaninnish on the Beach, an addition to the existing property exclusive to the Relais and Chateau chain of inns. Trade tendered prices exceeded the owner’s budget but the architectural concrete precast cladding elements originally proposed where completed by a concrete cast-in-place method introduced by Farmer resulting in significant cost savings and with pleasing results to the owner. 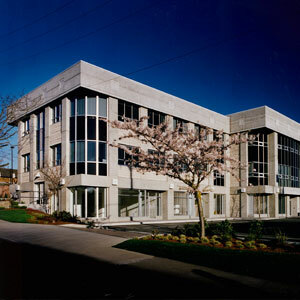 Built on the slopes of the Fraser River in New West, the CAW Union Hall is clad in glass and metal panels.